Spring is probably the best season for weddings. With the refreshing air, warm temperature, eye-catching scenery, colors for spring weddings are quite various. And there are many color palettes for spring bridesmaid dresses. Azazie, an online bridal store selling affordable bridal gowns with high quality, has released some amazing and romantic bridesmaid dresses without breaking your bank. Neutral colors are not eye-popping when compared with other bright colors. 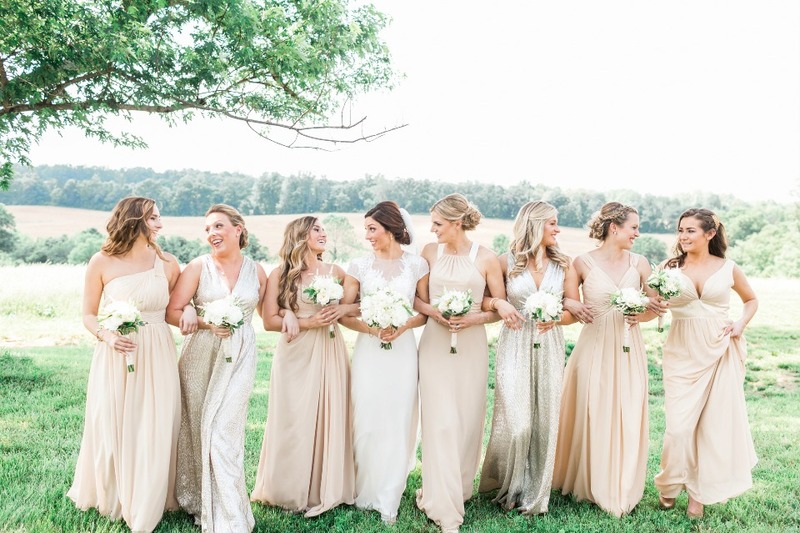 The soft and warm neutral colors make the bridesmaid dresses far beyond amazing. Neutral colors are sure to satisfy even the pickiest guests on your wedding party. Champagne weddings exude elegance and luxury. That’s the beauty of this shimmering color we love. Champagne bridesmaid dresses are so sophisticated that makes the whole event more delicate and glamourous. Grey gives a touch of quality. It will never be wrong having steel grey bridesmaid dresses. It’s stylish and it will help stand the bride out in the crowd. Besides, it will definitely make the case of being worn again. Isn’t it budget friendly? A great way of winning your girls’ heart is to have pastel bridesmaid dresses. The colors are soft and the light hues are perfect match for spring and summer weddings, with colorful blooming flowers everywhere. It helps tur your wedding a great fun party that everybody will enjoy. Being the color of the year of 2018, purple family are really hot on the wedding market. Lilac is quite unique and young in the whole purple range. The lilac bridesmaid dresses are suitable for any length, no matter it’s long or short and it flatters every skin color. There’s no other color speaks romance better than pink, no matter what the pink is, blushing pink, pearl pink, dusty rose and so on. This sweet hue will melt every guest’s heart for sure. Another reason why pink is so trending is that it flatters almost every skin color.